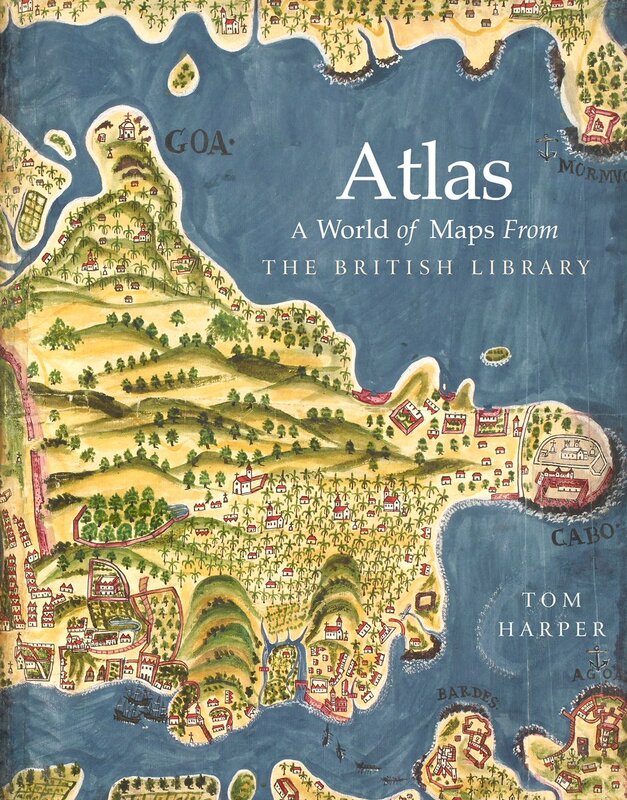 This is an atlas unlike any other. Both an assemblage of historical objects and a gathering of cartographic oddities, it is as much an illustrated collection of stories as it is a showcase of the UK’s national map collection. Were it to have been only the latter, its audience would surely have been limited to geek orienteers and tweedy geographers. Instead this is an essential compendium for anyone who loves images, stories and history. Presented as a coffee table book, gorgeous and heavy with generous full-colour illustrations spanning large pages, it is an object that you can easily spend a few minutes or hours casually flicking through. Which is fine, of course, but for those who want to dig a little bit deeper, there is much on offer too. This map of the West Indies from 1542 is regarded as one of the British Library’s finest treasures. Made with velum, and hand-painted in golds, blues and greens, it charts what is now the southern United States and the West Indies. Produced not for a mariner, but for an elite audience, the map had one purpose - to help a ruler conceptualise their world, in this case Francis I of France. One of its greatest attractions is in the telling of each map’s creation story. The histories behind their appearance transport the reader/viewer on a journey though time and, quite literally, in some cases, space. With over 4 million specimens spanning 15BCE to 2018CE to choose from, Tom Harper, the British Library’s lead curator of antiquarian maps, has included among his highlights a geological profile of the moon, as mapped by Russian and U.S photography; one of the first commercially-produced jigsaws, portraying Africa; a map of Guatemala drawn from pirate booty; and the ‘birth certificate’ of New York City. 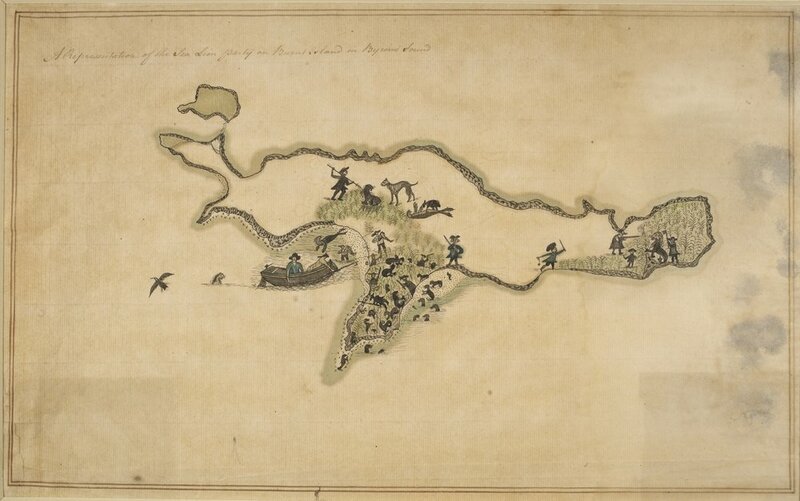 Thomas Jeffreys’ (1797) map of the Virgin Islands details a Dutch slave colony west of Puerto Rico. Practical information to aid navigation is interspersed with observations on wildlife, place name origins and historical details. The Falkland Islands (1768). Part of a map of the archipelago made by Thomas Boutflower, a carpenter who sailed there as part of a British mission to claim the territory. HIs efforts did little to dispel the thoughts of those in the British establishment who were doubtful about the islands’ economic potential. Islands are featured in many forms, a selection of which we share here. To see the others you’ll have to get a copy of the book from The British Library shop, which I encourage you to do. You won’t regret it.